Having an iPhone is not easy. Apart from the considerable cost one incurs to buy one, the constant need to upgrade makes it necessary to erase crucial data from your old iPhone 5. The trouble however, does not end here. Many people have faced security threats when using iPhone, so they fear their deleted personal data will be recovered. In all of these scenarios, the one thing that is causing the trouble is excessive redundant data. Therefore, below are some ways in which you can easily erase your iPhone 5. 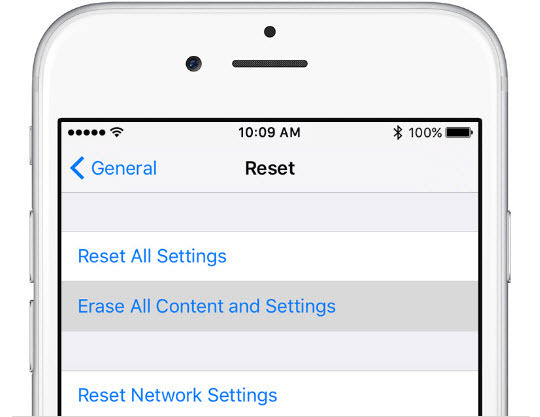 One option is to erase data from your iPhone itself without using any third-party software. However, before you go any further, you need to make sure you have a passcode. Below are the steps that show how to wipe iPhone 5 clear. Step 1: Tap ‘Settings’ on the Home screen. Step 2： Look for ‘General’ in the menu and tap. Step 3: You will then see an option ‘Reset’ in the General menu. Tap ‘Reset’. Step 4: In the Reset menu, there will be an option ‘Erase all content and settings’. Tap it. Step 5: Now you will enter your passcode. Step 6: Tap on Erase iPhone and then again to confirm. Step 7: Enter your Apple ID password and then tap Erase. As you can see, the process is quite time-consuming. It does not allow you much choice in terms of letting you select the relevant files that you may want to delete. Also, the extra security features simply add to the troubles since you need to know your passcode all the time and remember the password as well. Moreover, you are likely to have errors once the data has been erased. Also, the files deleted by this way can be recovered by recovery tools. So it’s not secure for deleting sensitive data. 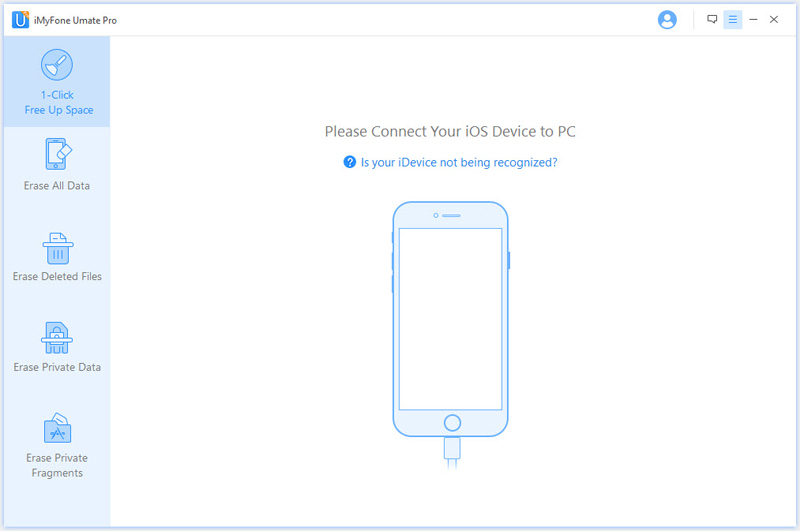 Additionally, you will need to re-activate your iPhone once you have deleted the files which is simply a nuisance. Given the disadvantages involved with erasing iPhone 5 manually, it is natural to seek a better alternative through which you can easily erase files much more effectively. Consequently, you may come across iMyFone Umate Pro or iMyFone Umate Pro for Mac. For those who have not heard of it, it is a great tool that you can use to delete your files in order to improve performance, sell your iPhone or for any other purpose. Apart from being very user-friendly, it is a beautiful software with a number of features that will help you in every step of the way. Firstly, the biggest plus point is that with iMyFone Umate Pro, you can individually select the files that you want to delete. This means you will not have to worry about having important files being deleted accidently. Also, the one-click clean-up feature is by far the best feature as it allows you to get enough storage back and speed up your iPhone 5 by just a click. Other benefit is that it can remove even the files that you have deleted in the usual way and make absolutely unrecoverable. Step 2: Launch iMyFone Umate Pro and select the Erase All Data option from the menu on the left. Step 3: Click Erase and then type in “Delete” to confirm. Select “Erase Now”. Here is a little description of the software’s main features about erasing iPhone 5. 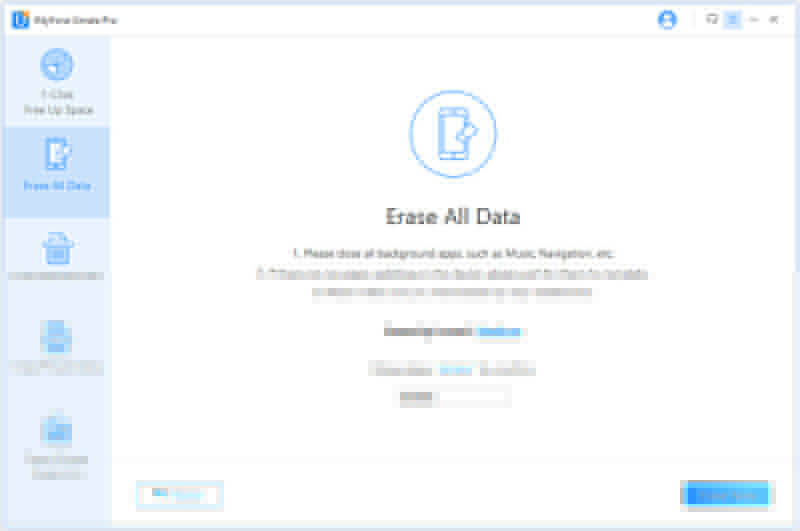 Erase All Data: As the name suggest, you can erase all the data by just choosing this option. You do not have to go through selecting various options as in the case of manually deleting data using ‘Settings’. This is just like a factory resetting, but the erased data is 100% unrecoverable, and you won’t need to active your iPhone 5 again after the restoring finished. Erase Deleted Files: It is not enough to simply delete sensitive files through the usual method. Such files can easily be accessed through various software. Hence, this option will completely eradicate the deleted files by completely overwriting them. 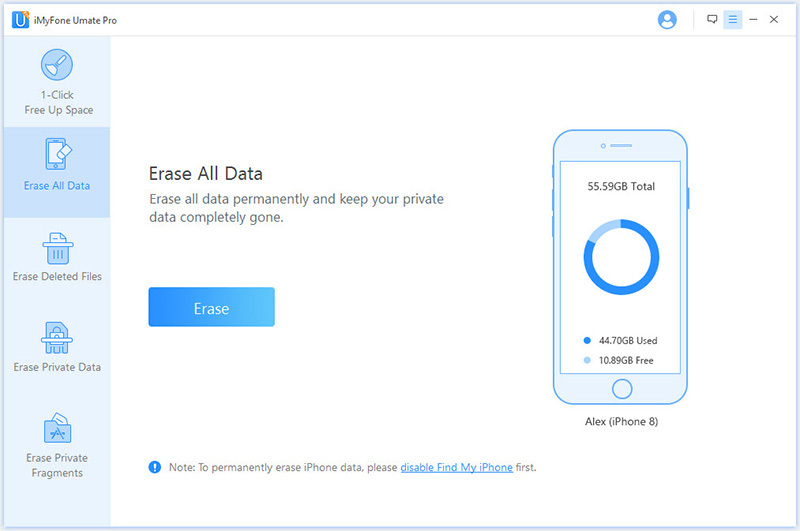 Erase Private Data: You no longer have to worry about having your Private Data being stolen by someone else, particularly in the case when you sell your iPhone 5 to someone. The ‘Erase Private Data’ will let you choose the files you want to delete that you may feel are sensitive thus giving you a complete peace of mind.